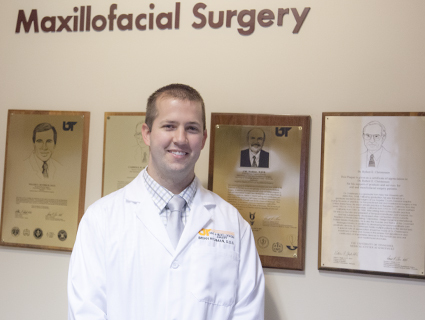 Brian Richman, DDS, Oral and Maxillofacial Surgery Residency Alumnus, graduated in June and has returned to the UT Graduate School of Medicine as the first fellow in Cleft and Craniofacial Surgery, a program initiated by his desire to help children affected by cleft lip and palate. Dr. Richman developed his interest in cleft surgery while on a two-year mission trip to Taiwan. While the Asian population has a higher incidence of cleft lip and palate, it is surprisingly common in the United States as well. According to the Centers for Disease Control, 2,650 babies are born with a cleft palate and 4,440 babies are born with a cleft lip with or without cleft palate in the United States each year. Dr. Richman wants to maintain an OMFS practice that includes helping affected children as well as continue his mission work. It wasn’t until he expressed his interest to Eric Carlson, DMD, MD, OMFS Chair and Residency Program Director, that Dr. Richman realized the specialized training he needs could be a possibility through UTGSM. By partnering with East Tennessee Children’s Hospital’s Cleft and Craniofacial Clinic, which is recognized by the American Cleft Palate-Craniofacial Association and Cleft Palate Foundation as a Cleft Palate Team, Dr. Richman will develop in-depth knowledge and receive hands-on training under the guidance of Mark Ray, MD, Team Leader, and Turner Emery, DDS, MD, a member of the Cleft and Craniofacial team. Dr. Carlson said, "As OMFS program director at the Graduate School of Medicine, it is my responsibility to ensure the every opportunity is available to residents during residency and after." 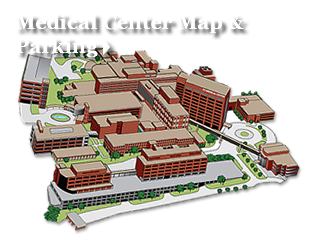 The one-year fellowship will continue to be offered through the UT Graduate School of Medicine, which, with The University of Tennessee Medical Center, is the region’s only academic medical center.